Robert Jonckheer is a corporate and commercial solicitor of over 40 years standing, handling a wide variety of legal work for entrepreneurial companies, institutions and the not for profit sector. Rob is a graduate of Leicester University. His early legal career was with Dunlop in Newcastle on Tyne and London as in-house General Counsel handling the legal issues facing a global manufacturer and distributor. A move to private practice followed when he joined Clifford-Turner (now Clifford Chance) in the mid-1980s. Rob’s career then took him to Oxford to join Manches (now Pennington Manches) where he was one of the early partners building their technology-focussed legal practice. 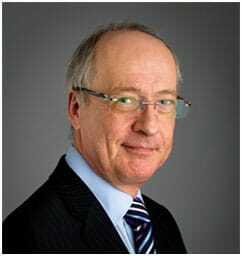 He retired from Pennington Manches in 2010 and current holds positions as Head of Legal at the United Kingdom Atomic Energy Authority, Culham and as an in-house legal adviser and at The Science and Technology Facilities Council, Harwell. In these roles he is involved principally in international research and development collaboration agreements. He is also consultant solicitor at Witney based solicitors Everyman Legal Limited. He is a Trustee of the Kingwood Trust, a leading charity for supporting adults with autism and a governor of Cokethorpe School.